insectorama presents the 80. Release and we say hello to a new artist on insectorama. his name is Antias and he bring us 2 perfect dubtechno tracks for the cold days. pure rhythm with chords , delays and echoes.i found no more words for this fantastic sound. listen and understand dubtechno!!!!!!!! Art Electronix comes back releasing with our netlabel offering you a straight remix EP of one of their tracks. Just like the style of the genre, this release is the stirring in various forms of the primal matter of the first track, and stil it renders a powerful shot of all the Artist’s feature. «At the end of this summer our colleague from Poland (who works under the pseudonym Ixirell) wrote to us to send him samples from the title track. After that, we invited another DJ and musician from Ukraine (Breaksage) to write down his version as well. The cover was developed by the VJ Lena Dzhurina. The concept of this work is primarily in the minimalism and psychological mental hooks, which often have to be worked out by creative people working with a limited set of tools. Thus, the idea of this collection is an example of how a musician using a small set of instruments, depending on personal perceptions, skills and psychological qualities, is able to come up, develop and transform a certain musical idea, inviting an outside observer to immerse himself in the inner world of the creator and his approach. And it is this minimal approach that suggested the title of the track, since the music was made using only two box devices (a bass synth and a drum machine). We recently learned about the experiment of Ludwig Wittgenstein, who showed that people are not able to understand each other to the end. This experiment was called “The Beetle in a Box” and we were interested in the concept that there are many interpretations of how the creative idea should develop and only when compared with already known paradigms a person can make some sort of conclusion, such as: it’s original, and it is primitive, or it pleases, and it saddens, but these conclusions can still be wrong or misunderstood. Therefore, we decided to tie together the idea of imperfection of human relations, the frequent inability to correctly understand one’s inner world and the chance to minimalism, as a way to return to the source. To that state without piling up with all sorts of concepts, where you can try to realize what kind of “Beetle or bug” is inside your box, and also whether you can be considered a beetle what lies in your neighbor’s box». 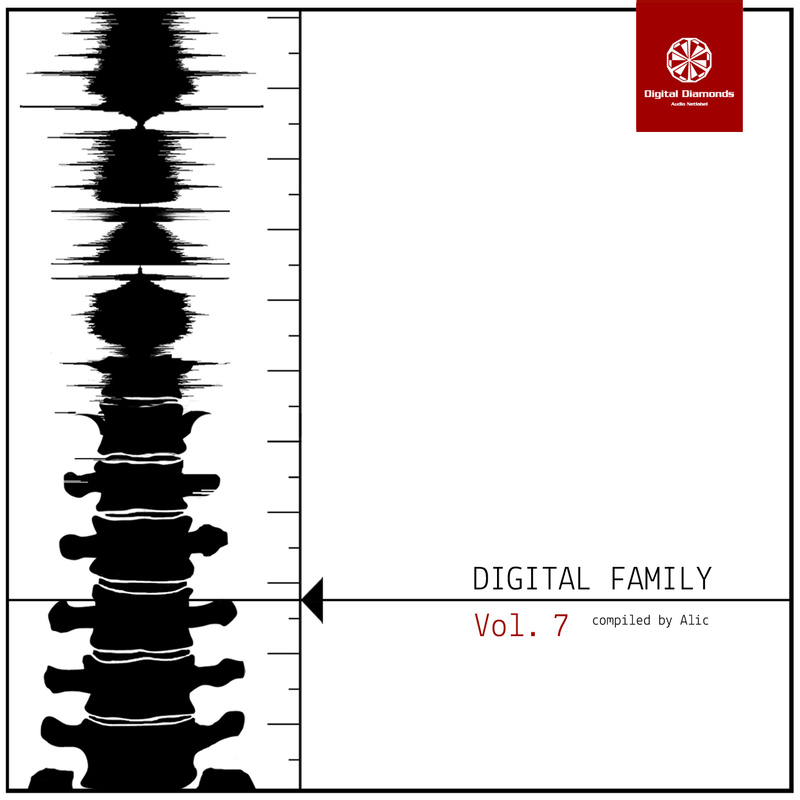 Edition number 7 of the popular Digital Family compilation series. 11 unreleased tunes, carefully orchestrated by label conductors Alic. On the decks you can find new talents like Whoknowswhocares, Stoertebeker, Medular, Nicorus or Adamson (aka 50% of Alic), MNGRM, One Dub Connection and well-known label-veterans such as Trilingo, Daäna, Bratenschneider and Point! Expect deep groovers, progressive hypnotics, chunky breaks and melodic minimalism. Energy is harnessed from natural elements by the use of power plants and this industrial EP shines a light on the inner workings of such places. Each power plant has a different feel and process but heavy basslines and tight rhythms will ensure a continuous operation. is a project born from the spontaneous encounter between two Italian djs and producers: Alan Backdrop and Enrico Rlt. Their productions are the outcome of studio jam sessions, recorded live so as to capture the alchemy of the moment. 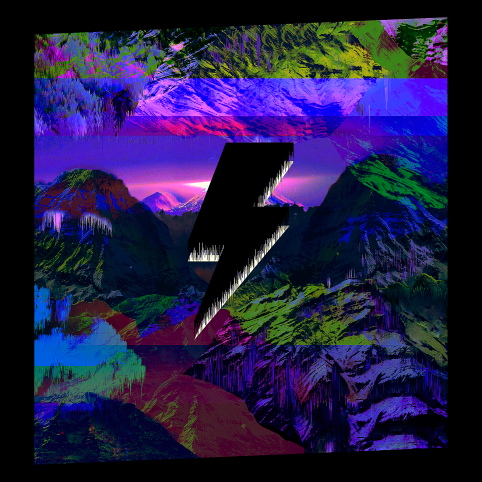 The sound reflects their fascination with 90s electronic music, nature, and travelling. Maximal techno and beyond. Filled with polyrhythmic melodies and offscale sounds, precisely controlled bass-lines, massive kicks and sharp percussions. Scratchy analog electronic ruminations from a quiet veteran Ministik, that ebb and flow like natural processes of evolution, growth or/and decay. Perception and alienation, with (re)use of techniques, sources, and designs are the main features in his work expressing the world as the artist sees it. Strange shifting rhythms, finely shaped clouds of noise, and distant techno patterns. Ministik is not a normal DJ. This craftsman will invite you to lose yourself in the depths of the abstract sounds and surreal melodies on concrete based drum patterns. “‘Fin del Tiempo’ (‘End of Time’) is not a religious work, although in the creative process, passages from the Bible were the source of inspiration for the concept; for this reason, included along with the download of the album is a PDF document with the verses used. The ‘Non Human‘ robot has been reduced to the minimum expression, a microchip with software. This allows his artificial brain to survive practically intact to the holocaust of the ‘Fin del Tiempo’. ‘Fin del Tiempo’ is the conclusion of a series of works under one concept with the aliases of Gozne and Zacarías Malden. ‘Fin del Tiempo’ initiates the definitive fusion of styles, where the rhythmic essence of Gozne merges with the purely experimental style of Zacarías Malden. ‘Nation will rise against nation; there will be earthquakes in many places, hunger and turmoil, terror and signs in the heavens; it is necessary for this to happen, but it is not yet the end. ‘ (Jesus of Nazareth). This is also the ‘Fin del Tiempo’, believe it or not, it is already happening. Second EP by Bratenschneider (in English ‘Roast Cutter’) on Digital Diamonds. This time Matthias has cut some juicy psy-tech minimal filets for you, flavored with fresh progressive electro spices. Mysterious and almost mythical substance that lives deep under water of earth’s electronic oceans. It designs synthetic sound sculptures on regular basis. It’s compositions are dynamic rhythmic patterns combined with emotional melodies and various digital effects. Few it’s creatures are captured in our nets and presented in this release. “We are musicians who live and create at the edge of the world, who over two decades have worked to represent through sound and image various aspects of our habitat. ‘Ciencia Sur‘ (Southern Science) continues this trajectory, addressing the subject of field research. This work was conceived as a musical and audiovisual journey through the imposing landscapes of Patagonia and Antarctica, where science is developed in extreme conditions, as it seeks to answer transcendental questions about the past, present and future of the planet we inhabit. The composition and recording of these works developed between July and September, combining the use of synthesizers with the use of unusual resources, such as the recording of sounds and electromagnetic emissions emitted by laboratory instruments and the conversion into sound of fossil images and diagrams concerning Climate Change through special software. We launched it in the framework of the opening of the IX Latin American Congress of Antarctic Science, an event that in early October 2017 brought together more than 300 researchers in the city of Punta Arenas (Chile). The presentation of these works is accompanied by images provided by the Department of Communications and Education of the Chilean Antarctic Institute, which shows excavations in Cerro Guido (Torres del Paine commune), marine studies in the Magallanes channels, and images of the last two versions of the Antarctic Scientific Expedition (ECA), the latter including recordings made with drones on Chilean scientific bases in the Antarctic Peninsula and South Shetlands. 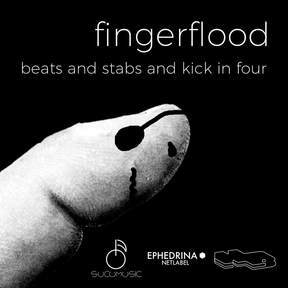 What we have in this debut release, named “Beats and Stabs and Kick in Four,” is the strong intent to basically dive into the fat obscure electronic moods of dub techno, somehow near to the Berlin scene if you like. The release has an ideal split in the middle of its playlist, switching from dub techno to more dub idm-oriented tracks. “Project inspired by ever-changing London landscape. Digital Diamonds is proud to present ‘Digital Decade’, an ambitious release that celebrates the label’s 10 years of activity in the underground scene and being run by Alic.